Who has time to sit in front of the computer anymore? As technology continues to improve, managing life on the go is easier than ever. Results from a new survey conducted by the Pew Research Center’s Internet & American Life Project shows that nearly half of U.S. adult cell phone owners now have apps on their phones. Of those apps, the most commonly downloaded are those that provide regular updates about everyday information such as news, weather, sports or stocks and apps that help people communicate with friends and family. We run our lives from our phones, why not make sure we track our assets in the same manner? The latest finance tracking apps make wallets obsolete and create more room for life in your pocket. Some of today's apps are equipped with more than enough categories and data than necessary. When it comes to keeping track of your budget and expenses, simplicity is key. The DailyCost app provides a no-frills option to manage your daily expenditures in under three seconds. Simply choose a category, enter the amount and you're done. There are plenty of apps geared toward calculating loans, mortgages, bills and more–this is not that app. If your goal is to know how you spend your money on a daily basis, this is the plain and easy way to go. No need to risk losing your wallet and everything in it. The Lifelock wallet app allows you to keep digital copies of all of your cards, including membership and loyalty cards, that can be accessed anywhere. As an added bonus, from the app you have access to Lifelock's identity protection and the ability to cancel cards that are lost or stolen on the spot. Paying bills on time is key to your personal bottom line. 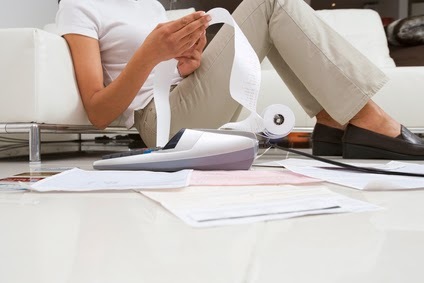 Staying on top of due dates and debt payments can seem like a full-time job. Download the Check app and say hello to your new personal assistant. This free app sends you bill reminders that you can pay on the spot or schedule to be paid at a later date. No more late fees or overdraft fees means you can pay those bills down even faster. Unless you're getting hounded by debt collectors, debt can be easily be placed on the back burner. For some, paying the monthly minimum keeps the collectors away and gives us another month to forget the high-balances waiting to be paid-off. Overcome that obstacle and start the road to a debt-free life with the ReadyforZero app. This app provides a full view of what you've gotten yourself into, while giving you a sense of hope with a stress-free plan to re-gain your financial freedom. Saving money for a dream wedding? A tropical vacation? Or maybe it's time to get started on that ever important emergency fund. Whatever your savings goals are, reaching them begins with a plan. The iPiggy app allows you to input any savings goal you've set your sights on and creates a game plan to achieve it. The app even lets you recalculate your goal time frame to help you get a clear picture of your end result.